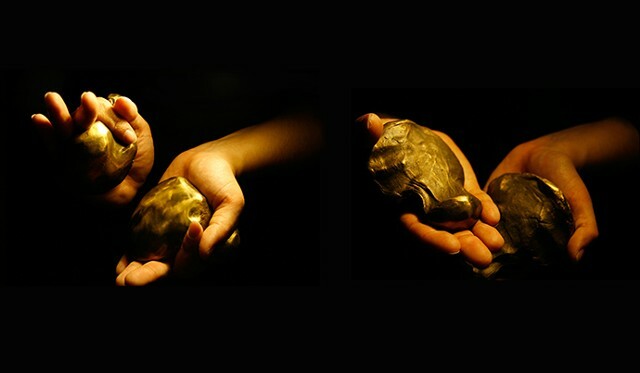 First in a series of three bronze objects that are an index of the negative space created by hands in various mudra positions. Mudras are present in South Asian Dance, Hindu and Buddhist iconography, and various meditation strategies. In dance they have a narrative function, but also "activate" the body of the performer, allowing them to embody meaning.